Thanks for stopping by. As as a composer/creator of new musicals, I thought it might be helpful to have all my information in one place...and you've found it! ​British audiences can't get enough of our little show! 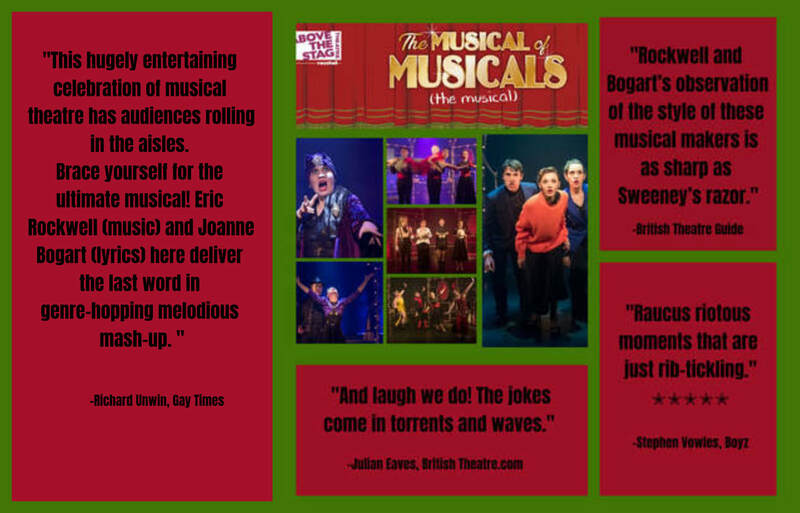 The Musical of Musicals (the musical!) opened off-Broadway fifteen years ago and continues to have performances all over the world. This production, at the intimate Above the Stag Theatre, featuring four dynamite performers under the direction of Robert McWhir, recently got a lot of great buzz. 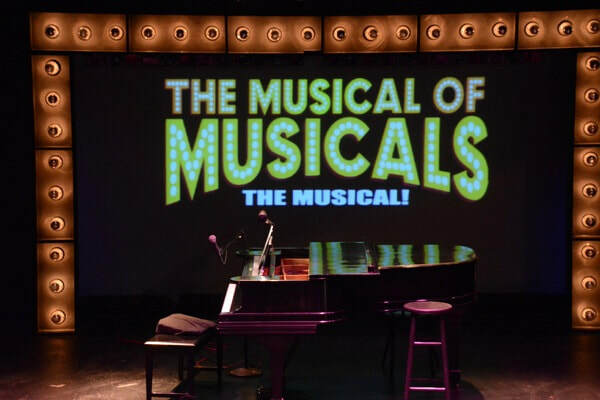 ​More productions of The Musical of Musicals (the musical!) are lined up for the coming year. Golly, What a Swell Show! 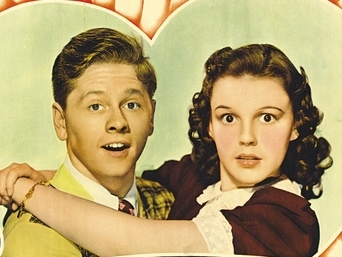 What do you get when you put Mickey and Judy together in a barn? A fabulous new musical, of course! Golly Gee Whiz, which features a swingin' score by Rockwell and Bogart, had a wonderful revival this summer at the TADA! Youth Theater. The show is the recipient of the 2015 Shubert Fendrich Memorial Playwriting Contest as well as a National Youth Theater Award for Outstanding Musical..
Golly Gee Whiz is available for production through Pioneer Drama Service. A studio cast recording has been created featuring some major Broadway talent. You can hear some of it right HERE! In celebration of THE MUSICAL OF MUSICALS (the Musical! )'s 15th anniversary, the York Theatre presented a gala concert event of the show. Directed by Pamela Hunt, it featured an amazing cast that had the audience in stitches from beginning to end. ​OUR NEW SHOW TAKES FLIGHT! Based on the beloved novel by J.M. Barrie, Peter Pan - a musical adventure is a fresh and original adaptation of the classic story. It features a book by Craig Sodaro, lyrics by Joanne Bogart, and music by Eric Rockwell. Performance rights are available ​through Pioneer Drama Service. Rockin' Robin Hood, with music & lyrics by Rockwell and Bogart, is now available for production. With a book by Brian D. Taylor, it's a story full of adventure, comedy, and romance, too! It rocks! Performance rights are available through Pioneer Drama Service. Meet Your Mountain is a dramatic new musical that tells the harrowing story of pioneers who faced unspeakable trials when trapped in the Sierra Nevadas in the winter of 1846/47. Created by Eric Rockwell and Margaret Rose, the show premiered in April 2017 at Sacramento Theatre Company. With the politics being what they are, TADA! Youth Theater's revival of Up To You couldn't have been more timely. New York audiences really dug this far-out show about political corruption. Set in the 1970's, it was truly a blast from the past, but like, totally today! Featuring a terrific cast under the superb direction of Janine Nina Trevens, the show won several National Youth Theatre awards.